Result in 5 seconds ! ♦ Counting and fast TSW on grains, seeds, berries, like: corn, wheat, beans, peas, vegetables or flowers… ♦ Result in 5 seconds ! ♦ This is not necessary to adjust the machine between 2 species, all is pre-programmed. 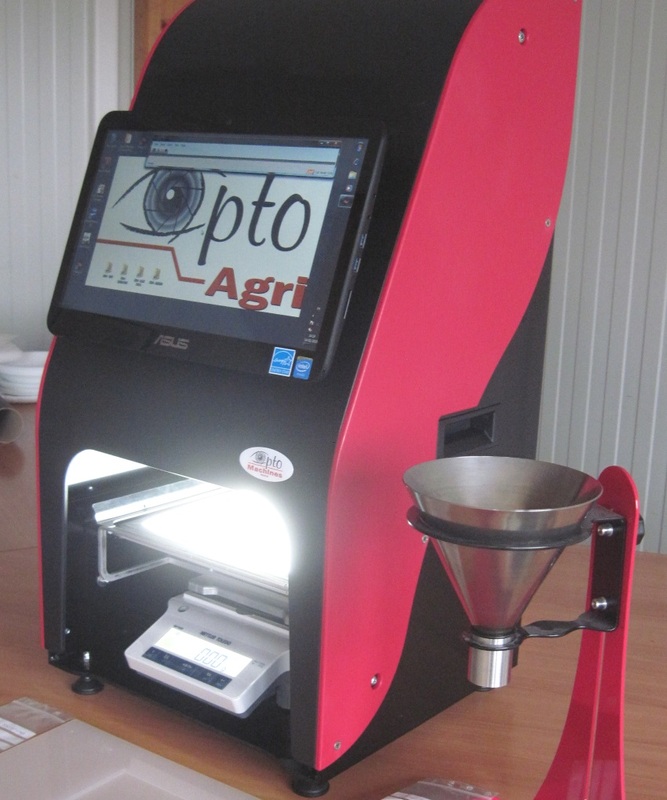 ♦ Opto AGRI is reliable and accurate. It counts what is weights and conversely. ♦ Biometry and leaf area ♦ Allows to do an significant number of measurements with one machine. New programs can be added or loaded after delivery. ♦ Integrated antistatic bar ♦ Removes the electrostatic loads of the grains in one motion when the tray is placed in the machine. ♦ Configuration fo small seeds like vegetables (<2mm) ♦ It is possible to count all kind of seeds with the same machine. ♦ Solid device and easy to handle ♦ Very simple maintenance and easy to use. No tedious cleaning nor mechanical adjustement between 2 species. All is integrated in one device (balance + PC) for a better ergonomy and for saving work pace. It is possible to make also biometry and leaf area measurement on the same machine. A special configurations exists for smal seeds <2 mm, like vegetables and flowers. A ionizing bar is also proposed for eliminating the electrostatic charges in the grains. All the results are saved and exploitable with a spreadsheet. ⇒ NEW: Online TSW ! with the Opto Agri with automatic grain loading ! Adjust the grains quantity in a bag according to the current TSW, as a result to reduce the safety margin. Before treatment, it allows to adjust the treatment quantity (loading) on the seeds according to the current TSW.